This distributed computing system, comprising some 16,000 cores and 20 Terabytes of memory is used by SU faculty and researchers, particularly in the physical sciences and engineering, who need reliable, high throughput computing (HTC). The computers in the grid are optimized to perform a large number of smaller parallel jobs (typically less than 24 hours), providing high processing capacity over long periods of time. 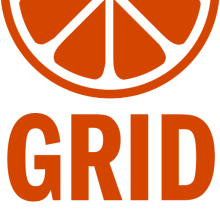 OrangeGrid is supported by ITS, Syracuse’s central IT group, and offered to researchers without cost. The grid is unique in that approximately 20% of the nodes on the network are upgraded annually as part of regular campus desktop replacement cycles, providing a notable increase in processing and memory capacity each year. HTCondor Virtual Machine Coordinator (CVMC) is a small application developed by SU’s Information Technology and Services (ITS) team to manage the multiple desktop components. These components are distributed to desktop clients via Microsoft’s Active Directory. HTCondor, developed with support from the National Science Foundation, manages the grid’s workload. The computer’s task scheduler detects when its host computer is idle, starts up CVMC, and connects to HTCondor to receive work. When user activity is detected on the computer, research operations are immediately stopped. The use of virtualization acts as a barrier which separates the researcher and their content from the user’s information on the same computer. Visualization of the routing paths of the Internet.